It’s that time of year again, and we all want to give the beloved hunter in our lives the best gift we can afford. Here are our most creative gift picks for any budget. 1. Under $50- Give them something thoughtful. $26.99 Primos Bloodhunter HD Headlamp– One of those gifts you won’t need until you need it. 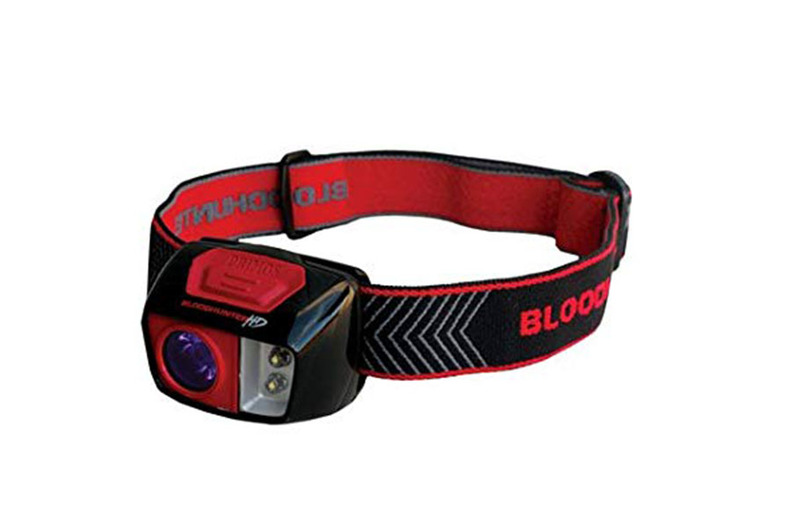 This headlamp will help you track blood on any terrain to ensure you find your harvest. $49.99 Piranta-Camo Havalon Knife– Hands down, the only knife your hunter will ever need. This knife packs surgical precision and quality construction. From hunting to fishing, when cleaning wild game, this knife gets the job done. 2. Under $150- Give them something they need. $69.99 Drake Waterfowl Floating Blind Bag 2.0– Waterproof their gear with a floating blind bag. Gifting your loved one something they need is always in style. 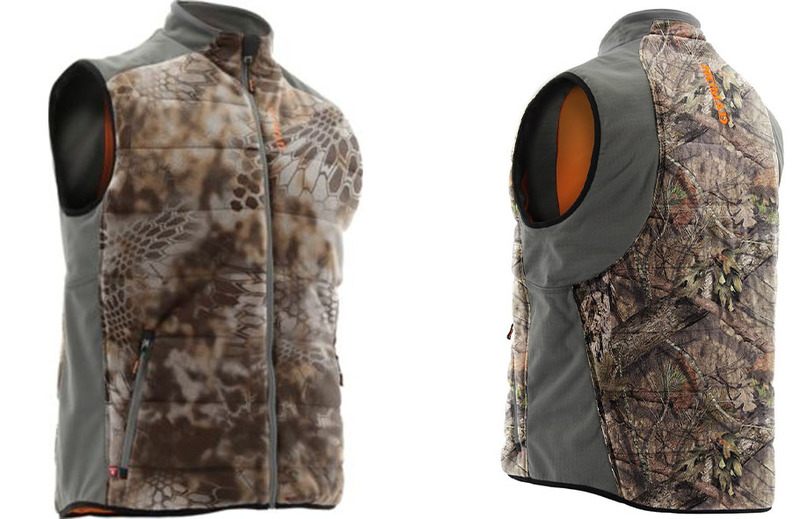 $124.99 Nomad Dunn PrimaLoft Vest– Warmth is the gift that keeps giving, especially when hunting in cold temperatures. Keep your hunter comfortable through the cold with windproof, water-resistant technology. 3. Under $250- Give them something they really want but won’t buy for themselves. 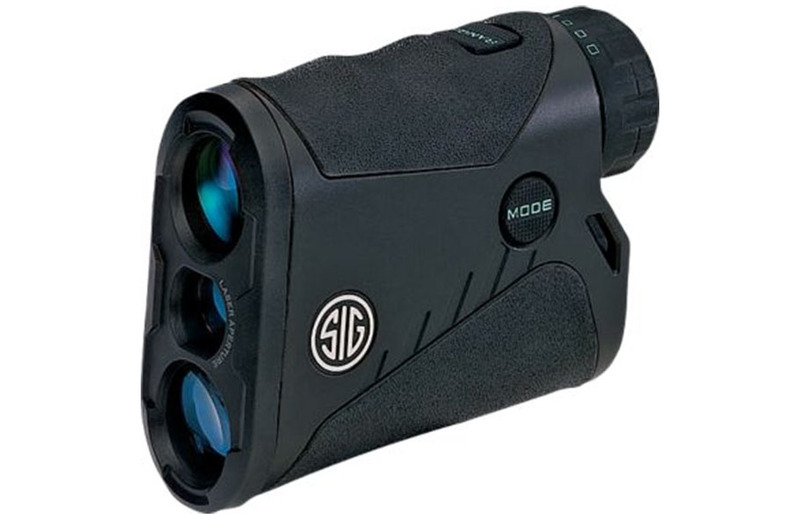 $189.00 SIG Sauer KILO Range Finder– Give them the best in Range Finding technology with distances out to 1,200 yards in lightning fast response time. 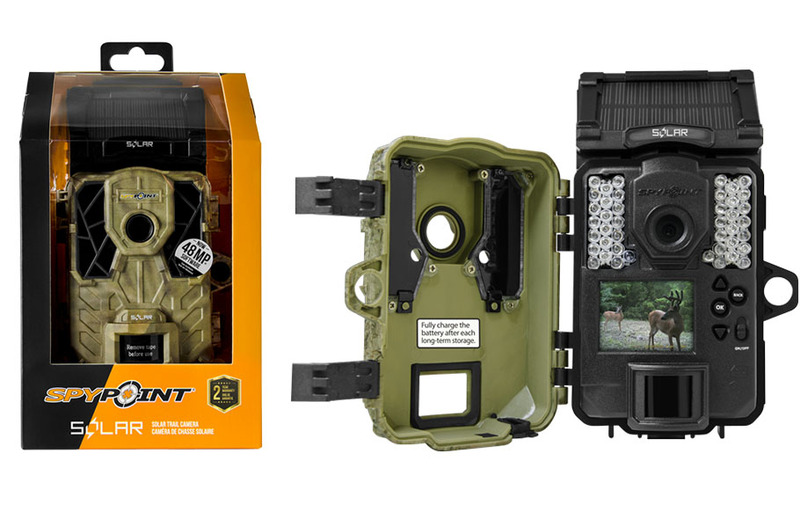 $199.00 SpyPoint Solar Trail Camera– Game cameras are a vital part of hunting. Give the gift of solar combined with the ability to check footage on the cloud from anywhere and you’re sure to bring a smile to your beloved hunter. 3. Under $350- Give them something they will really appreciate. 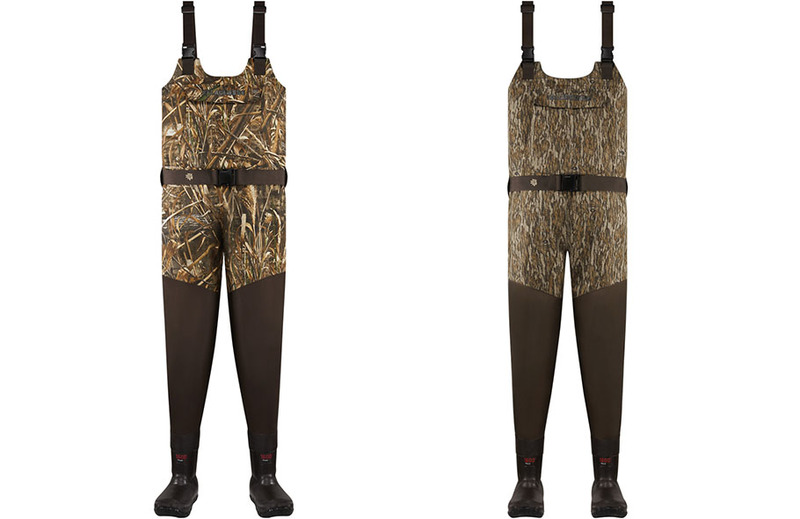 $300.00 Lacrosse Waders– Every waterfowl hunter should have a good quality pair of waders. This is one of those items you shouldn’t go cheap on. The only thing worse than being cold is being wet and cold. 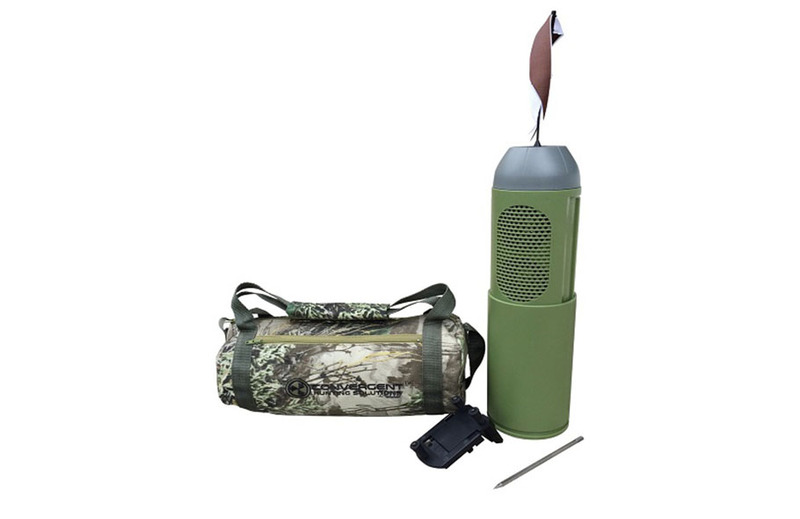 $349.95 Complete Bullet HP Bluetooth Game Calling System– Everyone loves toys for Christmas and a game call is the perfect grown up toy for hunters. 4. Under $1000. Give them something luxurious. $599.00 Vortex Diamondback 20-60X80– This is one of those items a hunter really needs and really wants. A good spotting scope is sure to please even the pickiest of outdoorsmen. 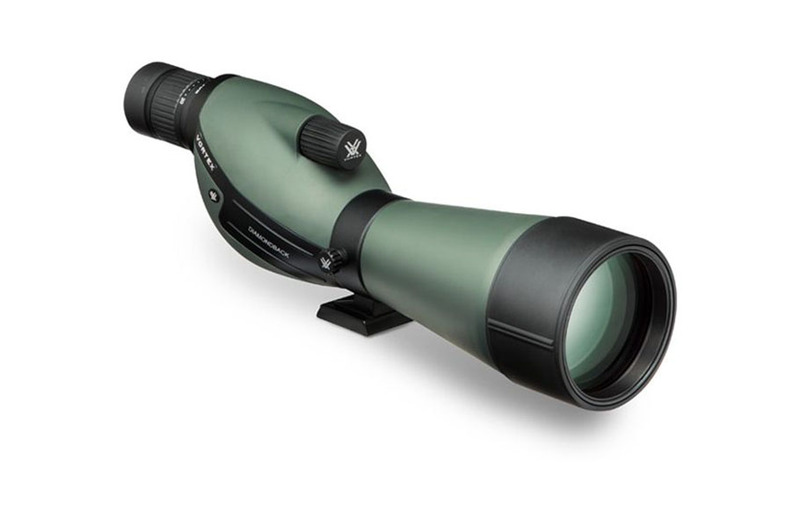 Pick a spotting scope with a great reputation for performing well outdoors. $799.00 Kimber Hunter Bolt-Action Rifle– Nothing says quality like a Kimber. This rifle is sure to become your loved ones go-to gun, and BTW you can get it chambered in 6.5 Creedmoor. Need I say more? 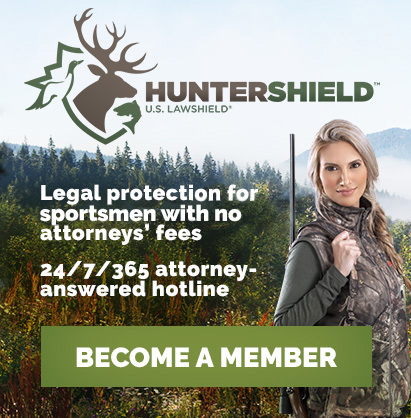 HunterShield created this holiday gift guide as suggested gift ideas. HunterShield does not endorse any specific product listed here and recommends doing individual research to make educated buying decisions. All prices quoted were checked shortly before publication, however, prices can change and may not match what is listed in this gift guide.